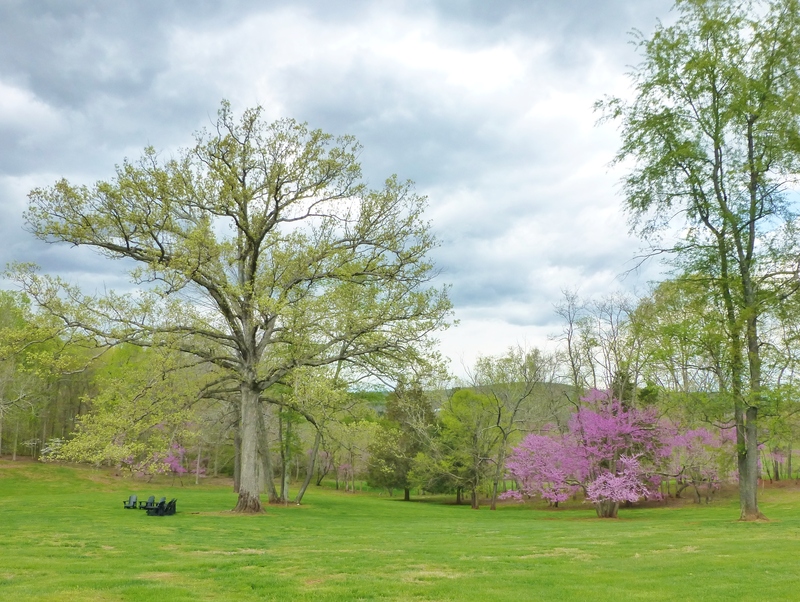 Each spring visitors are welcomed to more than 250 of Virginia’s most beautiful gardens, homes and historic landmarks , as part of the Virginia Historic Garden Week. This 8-day statewide event provides visitors a unique opportunity to see unforgettable gardens at the peak of Virginia’s springtime color, as well as beautiful houses sparkling with over 2,000 fabulous flower arrangements created by Garden Club of Virginia members from flowers on the grounds of these lovely estates. 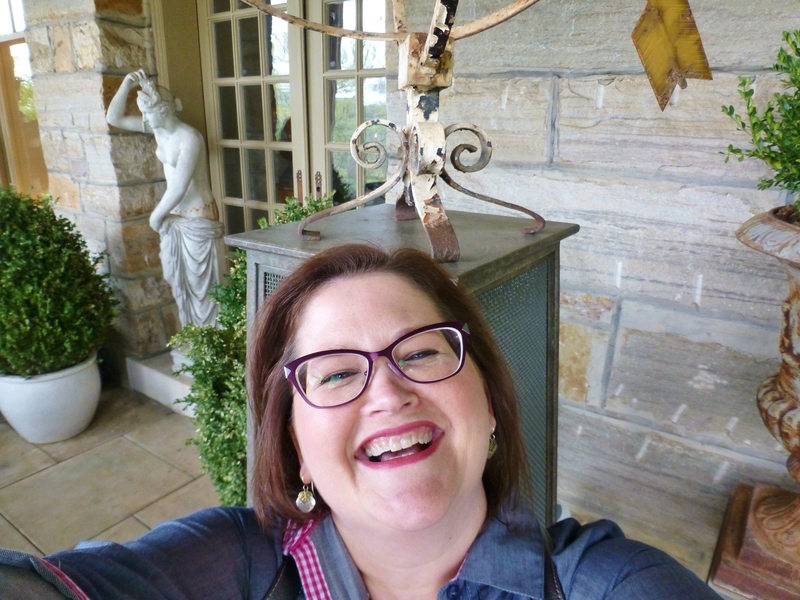 I had never been to “Garden Week” before, but when I heard via Facebook, that my all-time favorite designer’s home was to be part of the tour this year, I knew I had to make the 4 hour trip from Philadelphia at any cost (and at the risk of being a total stalker)! I quickly booked a room at a nearby hotel and informed my teen-aged son, Grady, that he and I would be making the journey. I am so glad we went!! 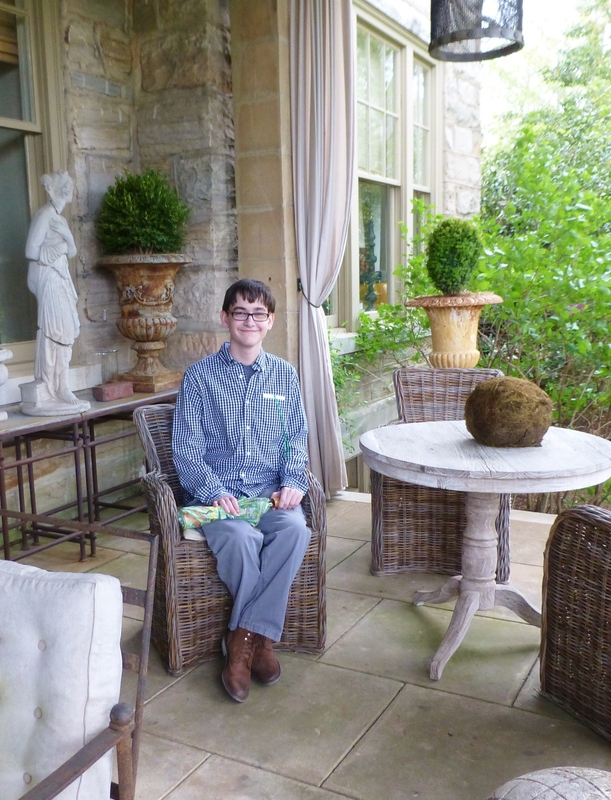 Here I am on Barry Dixon’s back portico, expressing my utmost joy at visiting his remarkable home. I was giddy with delight! I’m very sorry that I was unable to take photographs inside the amazing Elway Hall, as viewing the interior was the phenomenal highlight of our trip. Mr. Dixon is a master of using his space…the furniture placement and room layouts were innovative and compelling–more-so than I could have imagined from seeing the numerous gorgeous photographs of his work in his splendid books (both of which I own and enjoy) and in many places online. To experience these actual spaces in person was simply remarkable. I was truly inspired. 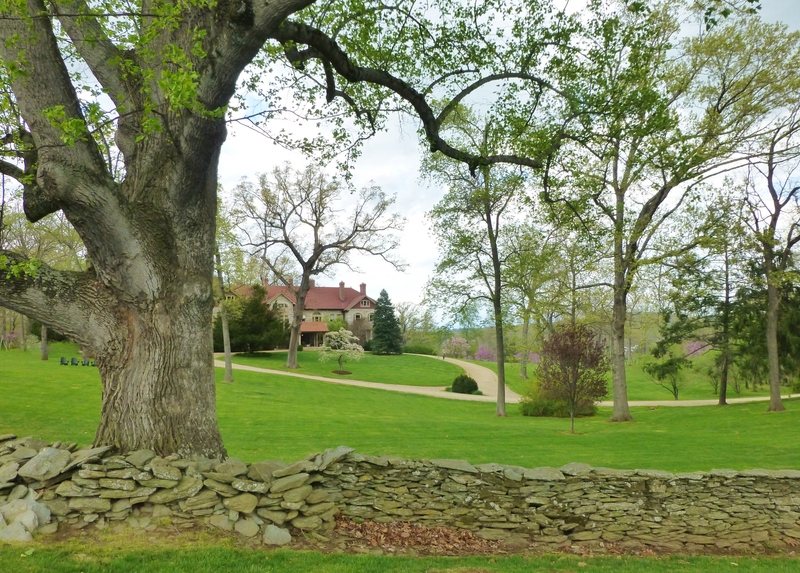 I am thankful, however, that I was able to take photographs of the breathtaking exterior and grounds at Elway Hall, which was built in 1907 from native stone hauled to the site by oxen. Elway Hall is the home of famous designer Barry Darr Dixon. 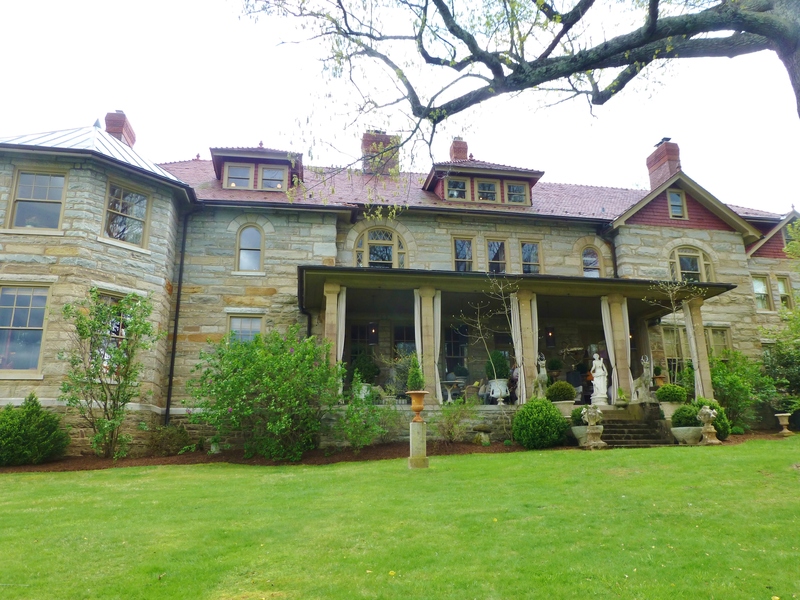 The Edwardian Mansion is situated within an expansive lawn with so many gorgeous old-growth trees. 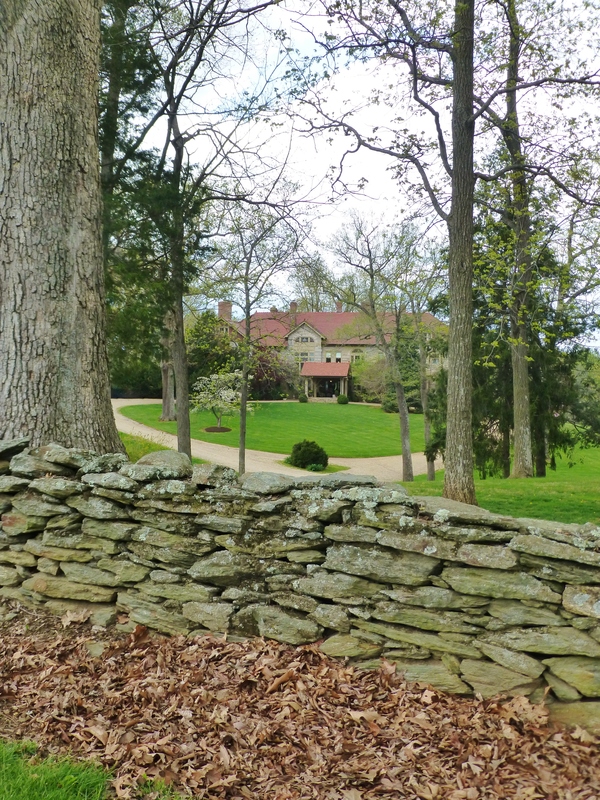 Along the drive, a stacked stone wall has amazing texture. Elway Hall is beautifully nestled amongst the trees. Here’s Grady gazing up at the towering centerpiece on the front of Elway Hall. 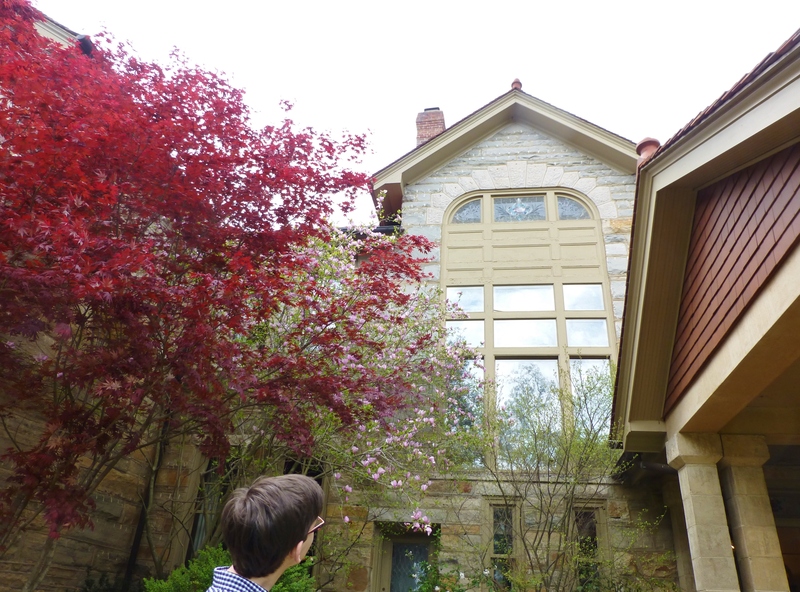 This window is the main staircase inside the house, featuring a two-story Bavarian-glass window . Here I stand at the back corner of Elway Hall. 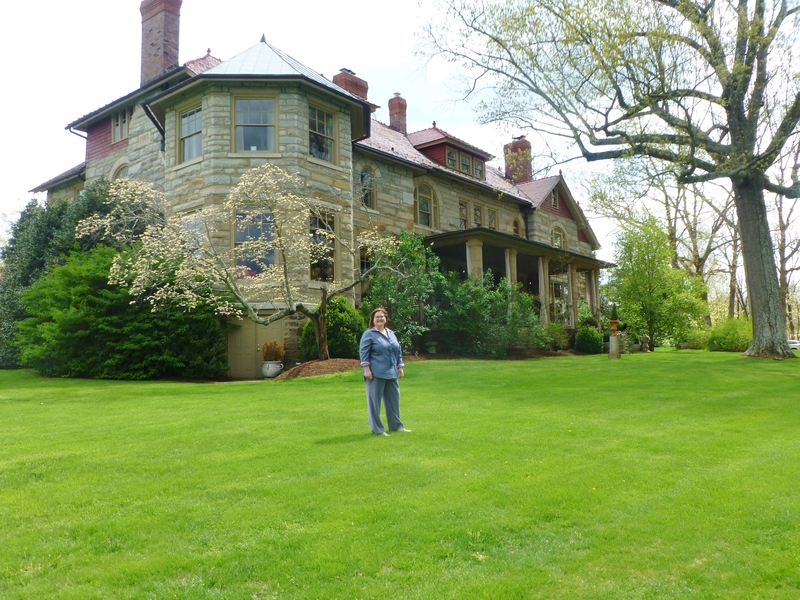 You can get a true sense of the mansion’s scale from this photo…it is vast and extremely beautiful! Here’s Grady sitting on the back terrace at Elway Hall. We had such a lovely time experiencing the grandeur of this elegant mansion! I’ll try to do another post, soon, with photos of the back porch, specifically, featuring the magnificent furnishings on the terrace. It’s a glorious space with sweeping views of the grounds. The back lawn slopes down to the elegant pool area. It was early spring the day we visited and many trees were blooming, while others were just coming into leaf. To the right of the pool is this marvelous tree with numerous black-painted Adirondack chairs beneath. So simply elegant! After about 2 hours of fully experiencing the grandeur of Elway Hall, we sadly departed with even more regard for interior designer Barry Darr Dixon and his unparalleled home, Elway Hall. Thanks for joining me once again. 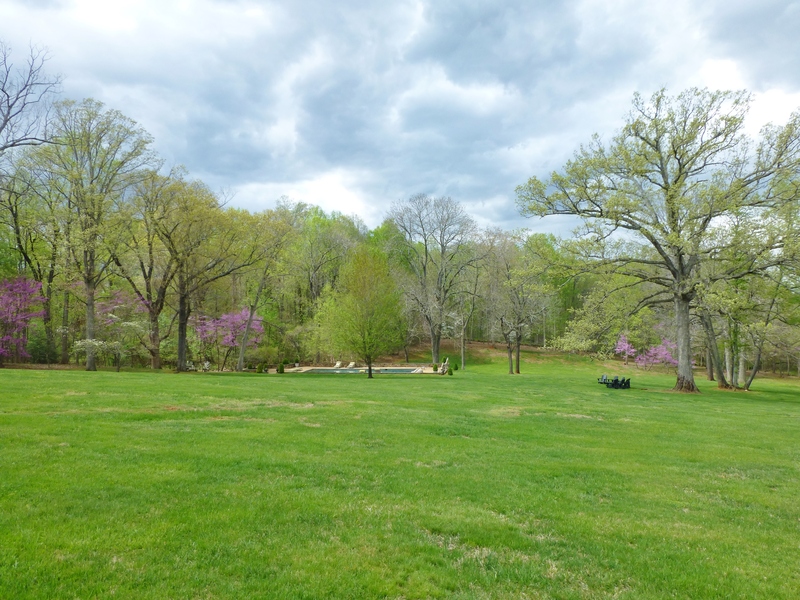 I’ll try to post again soon with some beautiful photos of Barry Dixon’s elegantly furnished terrace and some of the amazing gardens I was able to tour on our visit to Warrenton, Virginia. Until then, please tell everyone you know about Kristine Robinson’s blog. Feel free to pin these images on Pinterest, or share on Facebook. I love making new friends! 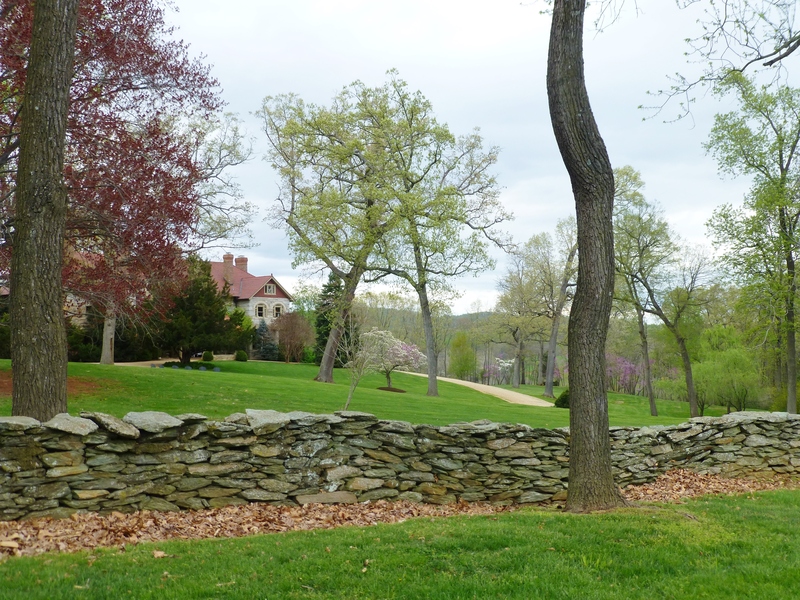 This entry was posted in Architecture, Barry Darr Dixon, Garden, Historic Sites, Interior Designer and tagged Barry Dixon, Elway Hall, Mansion, Old Growth Trees, Spring Gardens, Stacked Stone Wall, Stone House, Terrace, Travel, VA, Virginia Garden Week, Warrenton. Bookmark the permalink.